Born in 14th-century England and still dashing, the ivy cap has never gone out of style. 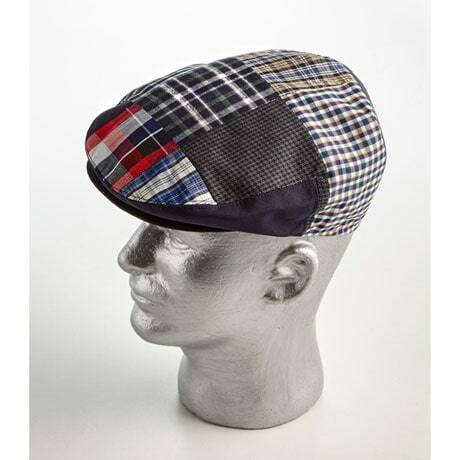 Pieced from classic plaids and solids, patchwork cap has a snap brim, 3-snap adjustable back, and grosgrain ribbon inner band. Polyester. One size. Dry-clean. Imported.